Aluminum alloys are used in die casting more extensively than alloys of any other base metal. 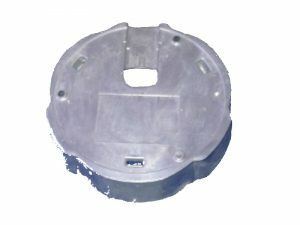 Die cast items made of aluminum are lightweight and have high operating temperature tolerances when compared to other items made with standard die casting alloys. technology, and look to CNM TECH to make their products better and cost less money. It doesn’t matter if you are looking for one hundred or a million castings a year; top quality, fair pricing, and on-time delivery are priorities for all orders. We are ISO 9001:2001 UL certified, have over 35,000 square feet of manufacturing space, and are capable of producing both zinc and aluminum alloy die castings, gravity casting, sand casting from miniature to over ten pounds. We have an in-house machine shop and a full range of finishing services. 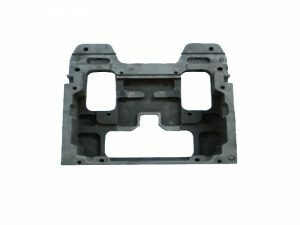 If you are interested instead in sand casting china, investment, Gravity casting china or permanent mold castings in China, CNM TECH has an extensive network of foundry capabilities we have built up over three decades of being in the casting and die casting business. Utilize our experience and connections to ensure you get the right metal, proper method, and best price for all your casting needs. What makes CNM TECH stand out from our competition is our people. Our core management group has an average of twenty years industry experience, and with the same company! This company commitment carries over to our treatment of our customers, and the experience they bring to the table is evident from the quality products we produce. ary to make cost efficient, quality products. We can offer innovative concepts to increase performance, lower manufacturing costs, to improve sourcing and material options. Our facility is UL certified ISO 9001:2000 compliant, we are able to handle all the standard computer aided design formats, and have an unparalleled partner-network for additional services. The CNM TECH Aluminium die casting 30 second quote system has been developed to give designers, buyers, and engineers a budgetary estimation of the costs involved in producing a die cast piece. The process of choosing the production variables to construct the thirty second quote is often more utilitarian than the quote itself and we invite you to speak to our experts about any questions that arise during the process. More often than not the preliminary quotes prove to be higher than actual production cost. CNM TECH Aluminium die casting is actively searching for reps, agents, manufacturers’ agents or representatives, sales agencies and brokers to expand our presence in the market. We offer an attractive contractual agreement with clear language and will consider client or territory based agreements.